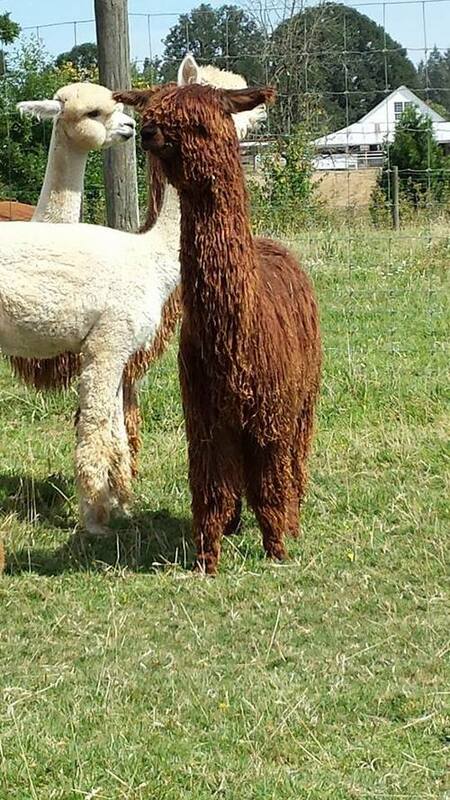 Sandoval, first cria from Marisol of PVA X Gambini of PVA is TB and truly lovely. Fleece is bright with luster - soft as silk, nicely structured. Lots of fiber on head, beard, neck and legs. Sandy has a great disposition. Inquisitive, quiet, pleasant to handle. Gets along well with others. Impressive results in the show ring. Judges comment on his silky, soft hand and high luster. We think the soft hand, good density, consistent lock structure and VERY nice luster will be a winning combination on this male. We're already plotting various pairings on and off our farm! 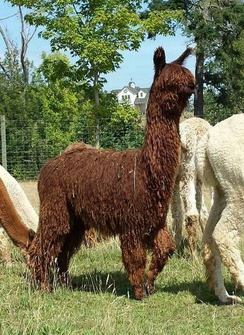 First breeding was to our blue-ribbon winning "Velveteen's Bristol-Cream" – a medium brown with white face which produced a very nice, totally solid color Bay Black male cria, "Halahuni." 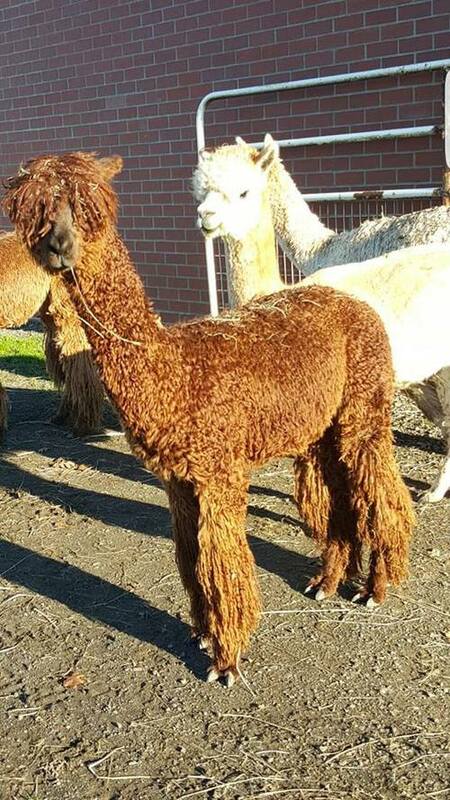 This animal is so nice looking we repeated the breeding. Sandy X Bristol-Cream (TB X MB) produced BB male 9/21/11 we named Halahuni. Halahuni has bred his first females. Sandy X This is Ruthie! (TB X TB) produced TB female 8/22/12 we named Famke. She looks great. Sandy X Magic Rumor (TB X MB) produced TB female 9/8/12 we named Kismet. She too looks great. Sandy X Bristol-Cream (TB X MB) produced DB female 9/17/12 we named Rubicon. White blaze on nose; fabulous girl. Sandy X Merrielle (TB X LF) produced a big, precocious LF male 8/9/13. Sandy X Balboa's Maruca (TB X LF) produced a very striking MB male 9/18/13. We love you Sandoval! Your babies are the bomb! Bred to Sandoval of VA (Gambini X Marisol) on 9/18/2013 Maruca produced "Miles", our most greasy, dense, distinctive male suri to date. Miles is Medium Brown and very, very nice. Maruca is top of the line. She's for sale. Breed her to your top stud and you'll be happy.